Never wait for a bus again! Relax at home enjoying your toast and tea until the bus is getting near. Then leggit. 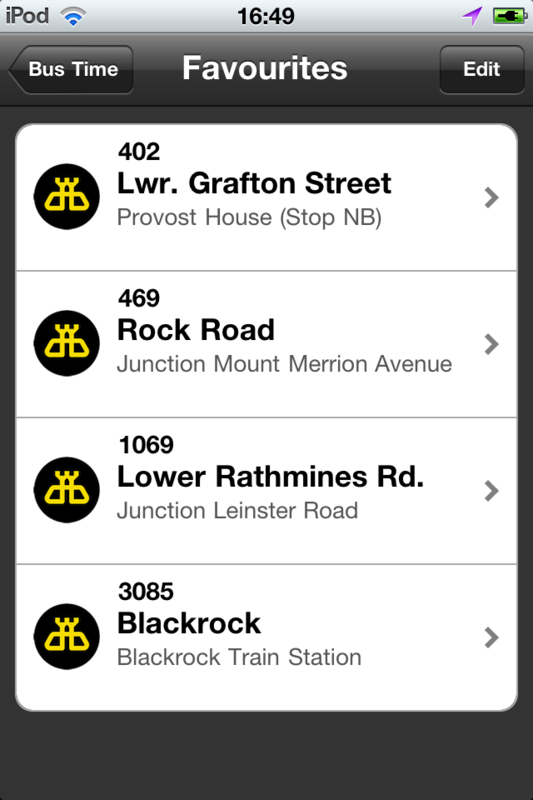 Bus Time is the app Dubliners have been waiting for. Bus Time shows the true arrival time of buses in Dublin city. Bus Time doesn't use the published schedules. Instead, the app uses real-time satellite tracking of the Dublin Bus fleet and advanced analysis of Dublin city traffic to give you the most accurate bus arrival time information available. 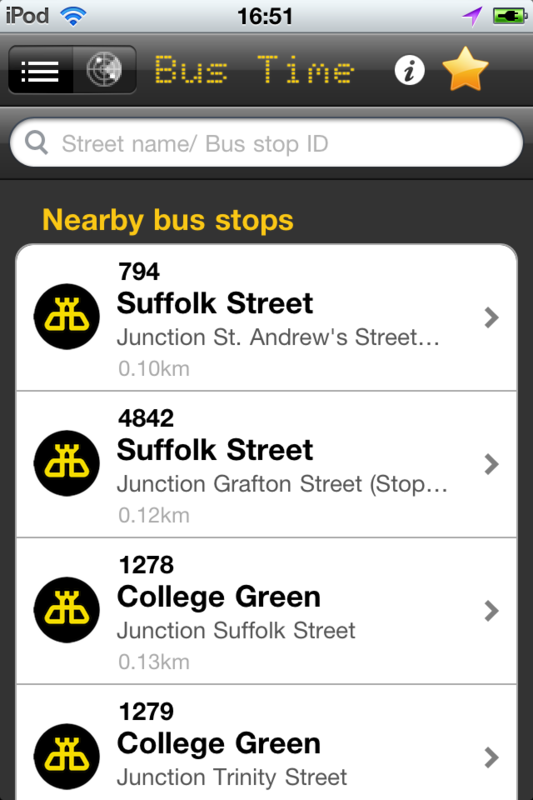 Instantly find Dublin Bus stops nearby, to search arrival times. 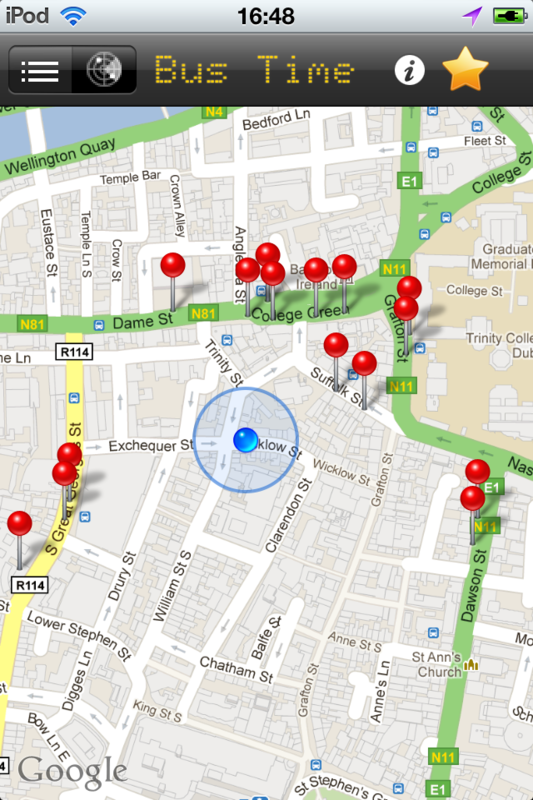 See nearby bus stops on detailed maps of Dublin. Accurate Dublin Bus arrival times, adjusted continuously to account for delays. Save your regularly used bus stops for easy access to arrival times. Copyright © 2011 Appsie Limited. All rights reserved.